Please arrive with nothing on your nails (no acrylic/shellac). 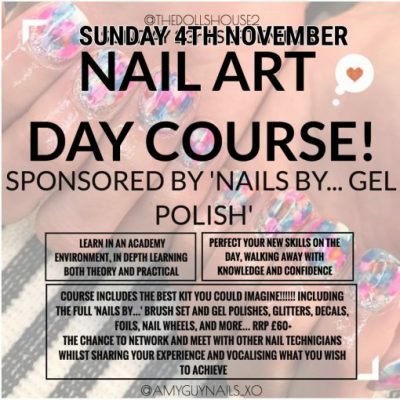 With over 6 years experience working in the nail industry, Amy’s gel nail course is designed to not only give you a recognised qualification in gel nails but also to help you LOVE being a nail technician as much as she does. NO PREVIOUS EXPERIENCE NEEDED! The course combines both theory and practical in a safe and open learning environment. All courses provide health & safety training, anatomy, consultation techniques, treatment procedures, work booklets, assessments, and after care. Business help will be provided alongside ongoing support and help when needed. Practical learning includes nail shapes, full preparation of the nail including cuticle work, gel polish application of colour & French.. Everything you need to create the perfect set of long lasting gel nails. 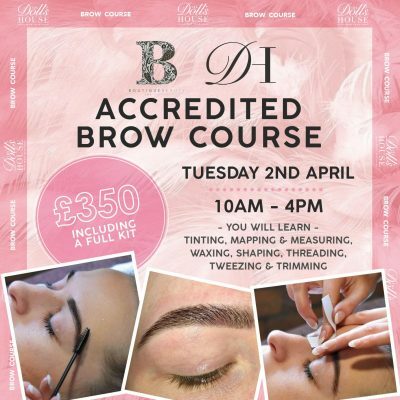 You will then return after 2 weeks of practicing to cover nail art and will complete an assessment where you will be provided with your certificate. You will receive a fully accredited certificate and 10% off your insurance with ABT. You will be ready to start clients straight away! To help you on your nail tech journey, we will also talk you through social media, how to promote yourself and photographing your work to get that Instagram perfect picture! Lastly, don’t pass this as an opportunity to connect and grow with other aspiring nail technicians. With only 6 spaces available the intimate setting is the perfect environment to really get in the zone.. Leave feeling inspired and raring to go!!!!!! Please note: This course does not include a kit. 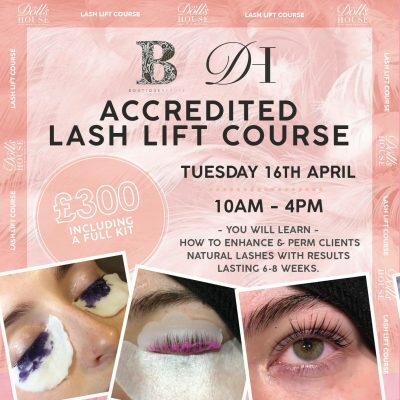 You will be provided with a kit list which enables you to purchase all of the products you need to create the perfect nails, where to buy them and some discount codes to help you on your way.